Need a professional team of security officers to patrol your property? Than look no further! 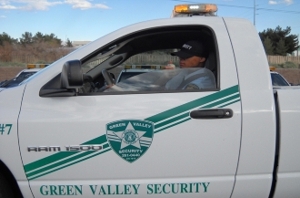 Green Valley Security operates with fast dispatch and GPS tracking command center, 24 hours a day, 7 days a week. For extra protection, and peace of mind that only qualified supervision, well-trained, uniformed and equipped officers can give call (702) 666-6514 for more information about our services. Christine Martin, President and Owner of Green Valley Security, is a 20 year veteran business owner with a vision that can be seen throughout our operations. 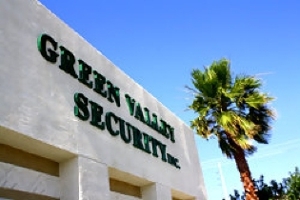 Thomas Martin, the General Manager for Green Valley Security, possesses a background in the United States Air Force and the Las Vegas Metropolitan Police Department. Mr. Martin is well respected among his peers and is responsible for all security related operations. To provide you with the best security service possible, we have developed the aafety and training department to provide professional training to all standing, mobile and patrol officers in the field. Our highly trained safety and training manager periodically evaluates all officers while they are on duty. The evaluations will serve as a continued training initiative set forth by the General Manager of Green Valley Security.